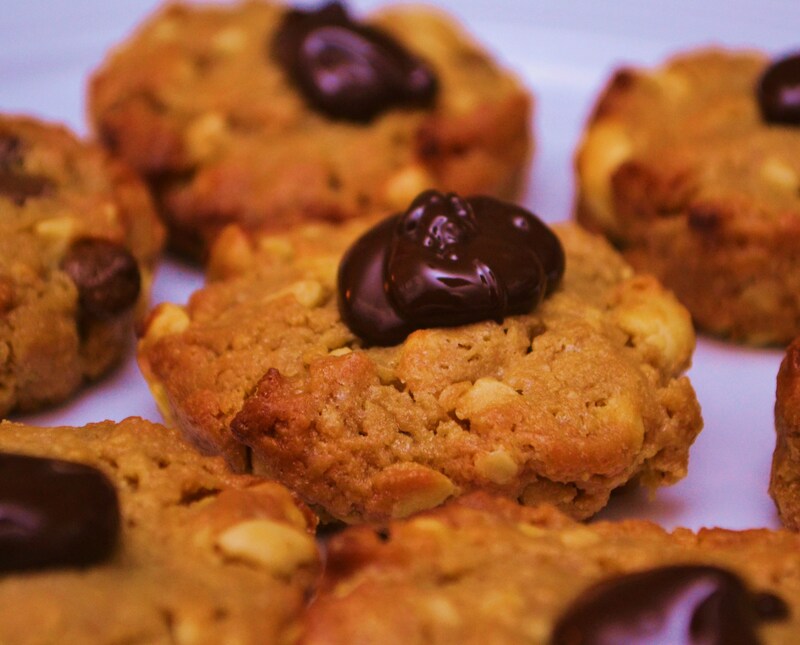 I love peanuts and chocolate and these cookies are so easy to make you could literally whip up a batch and be eating them in 20 minutes with a cuppa.They are also gluten free by default, so ideal if you have guests coming over and you need to cater for friends with have a gluten intolerance. Step1: Put your sugar and peanut butter in a bowel together and mix well. Step4: You can either simply spoon blobs on to a baking sheet or use a small cookie cutter to keep them all even. Sprinkle each cookie with sea salt and put them in the oven for 8 or 9 minutes. They should still feel soft to the touch when you take them out. Once out of the oven leave them to rest for another 10 minutes until cool. Step5: While they are cooling melt the chocolate, I like a dark chocolate, but use any kind you like and add a good blob to each one leave to cool as long as you can, eat and enjoy.